The average price for this game in the past 6 months is $11.74. The game first became 50% off on Mar 16, 2017 at Steam Store. 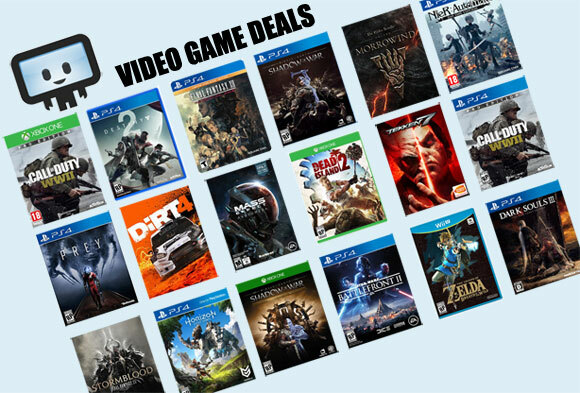 Lowest historic price was $11.49 on Nov 24, 2018 at DLGamer. Total War: Warhammer is historic low this weekend at Fanatical. If you don't care about loading up with tons of DLCs, this is a great strategy game for Warhammer fans with the Total War mechanics. At over 15,000 positive reviews - you really can't go wrong with a $11.49 price tag. While it may be a bit of a DLC hound, Total War: Warhammer is still a good pick-up when its on sale for 70% off. All the related DLCs are also discounted at Bundle Stars for this weekend. If you enjoy Total War or you're a Warhammer fan, this strategy game should be in your Steam library. Historic low price on Total War: Warhammer has arrived courtesy of GamesPlanet's Encore Summer Sale. This is as good as it gets for the game until we reach the next seasonal sale - but even then we don't expect as deep of a price cut for the SEGA published strategy title from Creative Assembly. Currently 80% positive ratings now that many of the initial bugs have been dealt with. Total War: Warhammer hits a historic low price today in Bundle Stars Summer Sale. Solid drop to $19.19 instantly plus a 10% stacking coupon further reducing the price to $17.27. Cheapest ever by $0.13, which isn't a lot but much less than the $20.39 during the Steam Summer Sale. A $20.39 purchase during a few weeks ago during the Steam Summer Sale, now Total War: Warhammer is down to $17.40 at DLGamer. Cheapest ever by about a buck. Note: GamesPlanet only shows prices in British Pounds, so they will show you £37.99 but can be bought world wide and will come out to be about $48.21. The game is region locked, so the key GamesPlanet sells will not work in China, Taiwan, Hong Kong, Japan, Democratic People's Republic of Korea, or the Republic of Korea. The average price for this game in the past 6 months is $26.43. The game first became 50% off on Dec 7, 2018 at Fanatical. Lowest historic price was $23.73 on Feb 7, 2019 at Fanatical. At $26.99, this is currently the lowest and cheapest price for Total War: Warhammer II. If you're a Warhammer fan, this is a can't-miss title. Decent co-op component too for those with pals. DLGamer has a historic low price on Total War: Warhammer II for PC/Steam. SEGA has kept a tight leash on the September's release pricing and it hasn't dropped much in the past two months. We suspect the current 25% off is what you'll see later this Winter Sale as well. It's not a big price cut, but at 24% off this is actually the lowest Total War: Warhammer II has been given the Creative Assembly strategy title hasn't gotten much discount since its late September's release. Stack on Fanatical's 10% off Black Friday weekend code and you'll be able to pick up the Steam key for 24% off. Now released and live, the current best deal on Total War: Warhammer II is at DLGamer for 18% off at $8.99. If you buy the game within release week you'll be able to receive early adopter bonus DLC including the Norsca playable tribe. Steam key. Total War: Warhammer II had a new trailer released today at E3 and a September release date. The game is live on GamesPlanet for £37.99. That's measly 5% off in the UK, but you can buy this game in the US from GamesPlanet and, thanks to favorable currency conversion rates, pay only $48.08. The average price for this game in the past 6 months is $10.59. Lowest historic price was $10.59 on Dec 11, 2018 at Fanatical. Warhammer II's latest DLC addon Rise of the Tomb Kings arrives later this month on January 22. The best price for the Steam key is currently at Fanatical for 20% off. Everywhere else is around 15% off. Fanatical has a combo Warhammer II pack deal, where if you buy Warhammer II (at full price), you'll receive the upcoming Rise of the Tomb Kings DLC campaign pack for free (a $15 value). This is essentially an extra dollar off vs buying the game and upcoming expansion separately. Also available at Silagames for $16.14. The average price for this game since released is $14.57. Lowest historic price was $11.39 on Sep 1, 2017 at Fanatical. Total War: Warhammer - Call of the Beastmen out tomorrow on PC. GMG's 21% off discount valid while the game is a pre-order. Upcoming DLC to well-received Total War: Warhammer. New Beastmen Race in the main campaign along with two new playable lengedary lords. Plus, an additional story campaign in this pack. 15% off at Sila Games. Available July 28, Steam key. Also available at GMG but only 10% off.